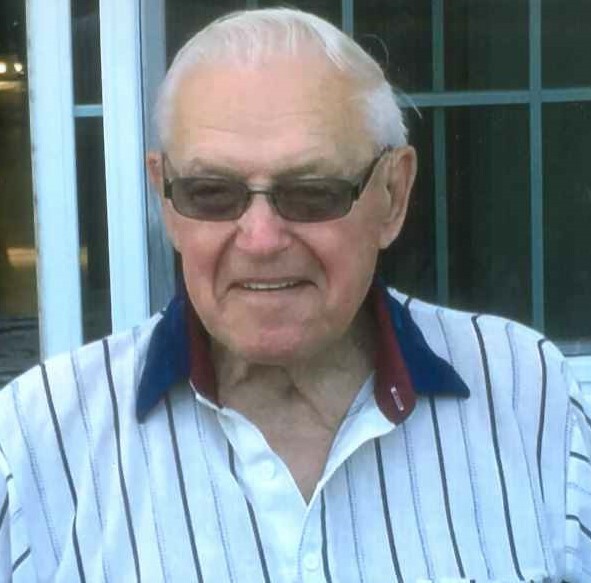 George R. Koester, 86, a Life Long resident of Ottawa Lake, MI, passed away Sunday, November 25, 2018, at the Promedica Ebeid Hospice Inpatient Unit, Sylvania. He was born in Ottawa Lake August 22, 1932, to parents Ralph and Viola (Davis) Koester. George was employed as a tool and die setter with Power Train, for more than 41 years, before retiring in 1998. He was a Life Long member of the Zion Lutheran Church, Ottawa Lake. George raced Pacer Horses with his son Myron. He loved his cats and will be missed by them. George enjoyed traveling, visiting casinos, and playing euchre at the Blissfield and Sylvania Senior Centers. He is survived by his loving wife of 67 years, Joann (Rohrback) Koester; sons Mitchell R. (Joan), Myron D. (Sharon), and Matt A. (Angie) Koester; 15 grandchildren; and 23 great-grandchildren. George was preceded in death by his parents; son Michael G. Koester; and sisters Donna M. Clark, Vonda L. Fish, and Melva J. Betz. Family and friends are invited to gather at the Zion Lutheran Church, Ottawa Lake, MI, Saturday, December 1st from 1:30 until 2:30 PM, with the Memorial Service to follow. Those wishing to offer memorials, in lieu of flowers, are asked to consider, the Zion Lutheran Church, Ottawa Lake, MI, or the Promedica Ebeid Hospice Inpatient Unit.